Sprinkle top with chocolate chips, marshmallows, peanut butter chips, nuts etc. Let it cool for a few minutes and ENJOY! 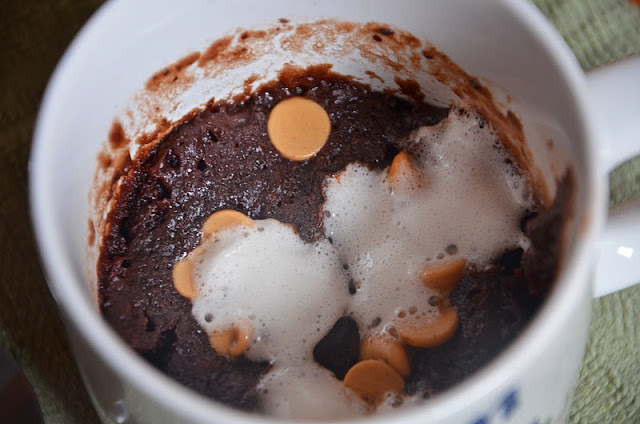 These microwave brownies are dangerously easy and very yummy! 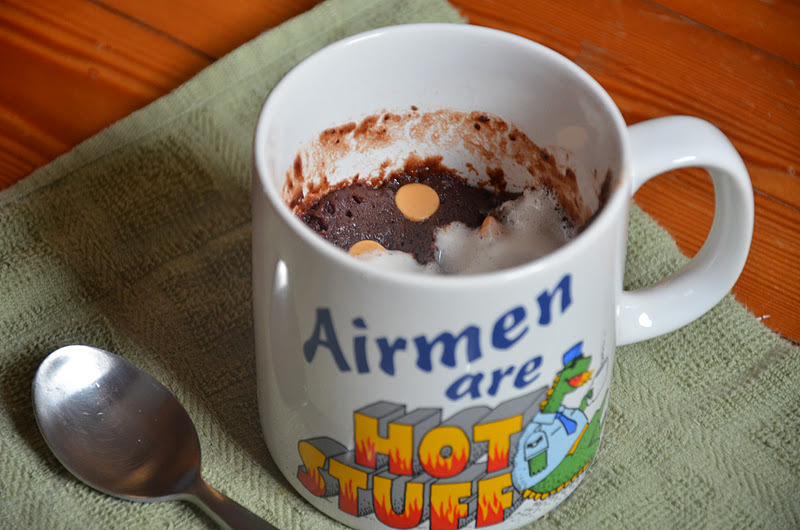 I sent a big box of mugs and the ingredients to make these to Rich's squadron. I'm hoping they can have a brownie night at work. I know they'll love this since they are stuck eating chow hall food and better than getting stale/crushed cookies in the mail. It's the second best to actual made with love brownies for these guys and gals. Perfect for a quick fall dessert for one (or two) or even would be a nice after school snack for teens. The Story of How I Burned My Arm + A WARNING! Disneyland Paris: Ariana's 4th Birthday Trip!